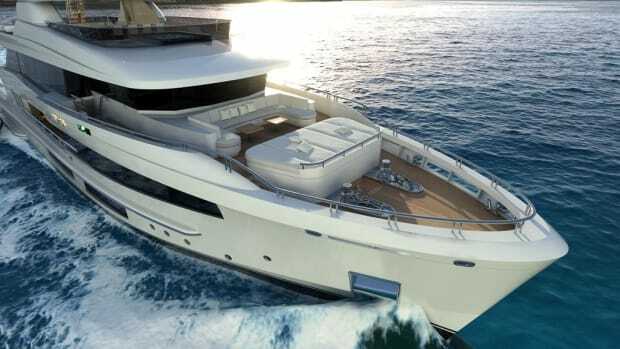 Heesen Yachts designed 138-foot (42-meter) Project Cayman as an answer to market demand for a Bahamas-worthy, shallow-draft yacht. 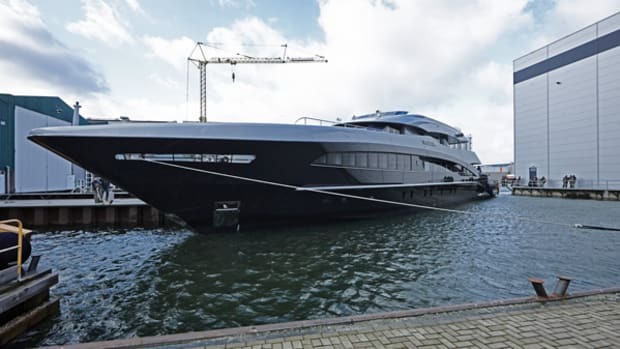 She is the shipyard’s latest fast-displacement trideck, with a draft of 7 feet 1 inch (2.1 meters). 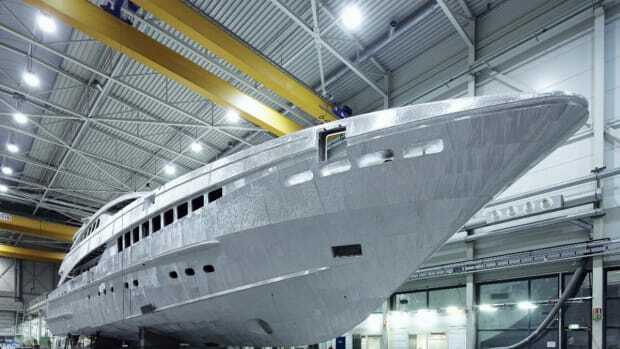 Constructed of aluminum and under 400 gross tons, her top speed is estimated at 22.5 knots. 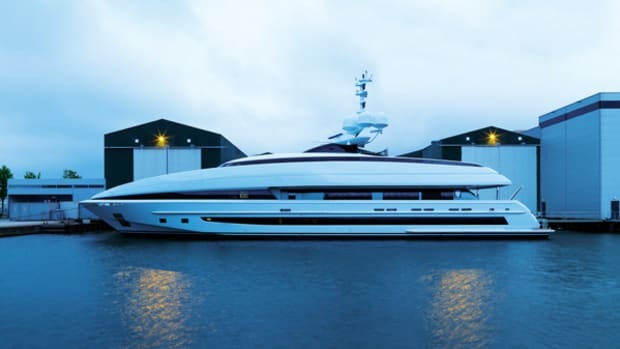 Project Cayman is Heesen’s answer to American demand for a shallow-draft, fast-displacement motoryacht with the volume of a trideck and the ability to cruise the Bahamas, and anywhere else in the world. 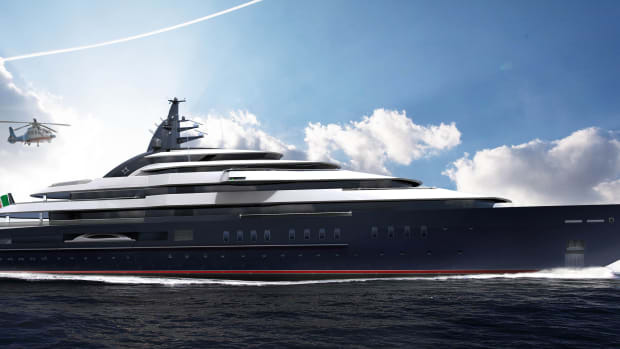 Heesen worked on Project Cayman with longtime partners Van Oossanen, for naval architecture, and Omega Architects, for exterior design. 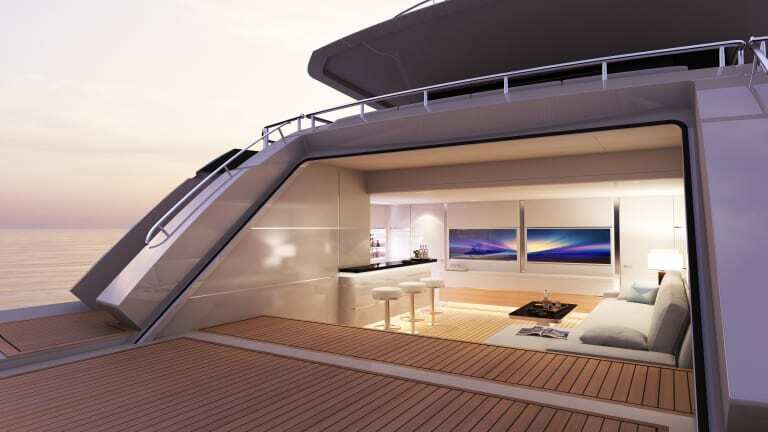 The yacht also marks Heesen’s first collaboration with Hot Lab in Milan, Italy, on interior design. 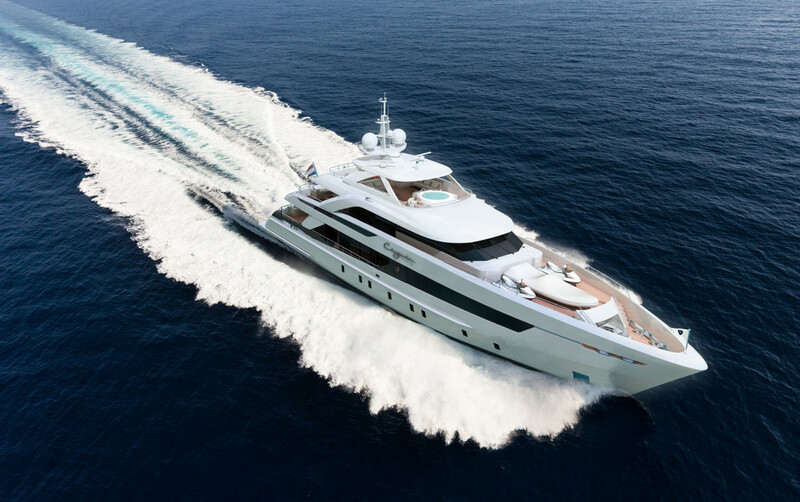 “From naming to the design process, while developing the theme for Project Cayman, we chose a contemporary yet exotic focus, projecting a relaxed [sense of] happiness on board,” Enrico Lumieni, senior partner at Hot Lab, says. Hot Lab set out to achieve the maximum amount of living and entertaining space possible. 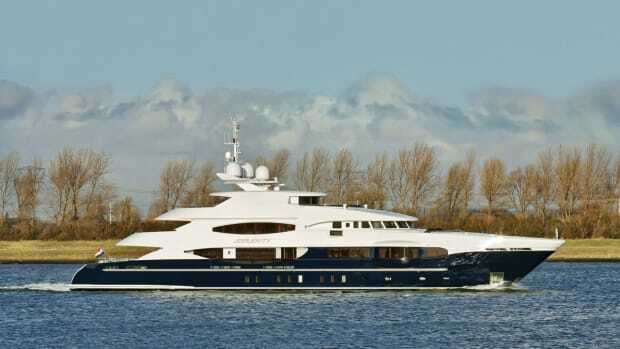 With tenders and toys stowed on the foredeck, the lower deck aft was free for a beach club terrace and bar. 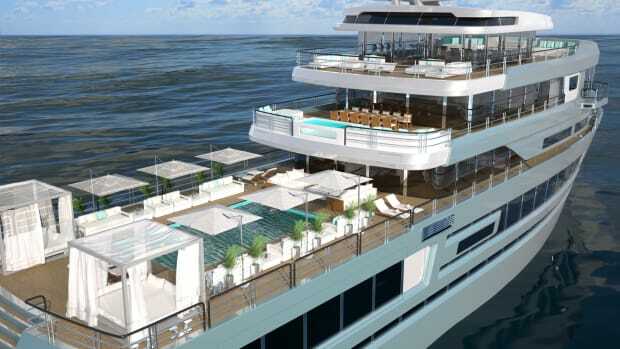 Forward on the lower deck are four double guest staterooms. The main deck has a contemporary, bright salon and formal dining area, with a color scheme that mirrors the sun, golden sand and sapphire-blue water of the tropics. 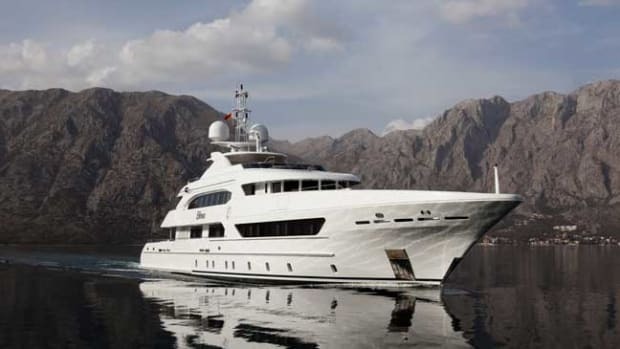 Forward on the main deck are a full-beam master suite, office and open-air bathrooms, accented with light woods. 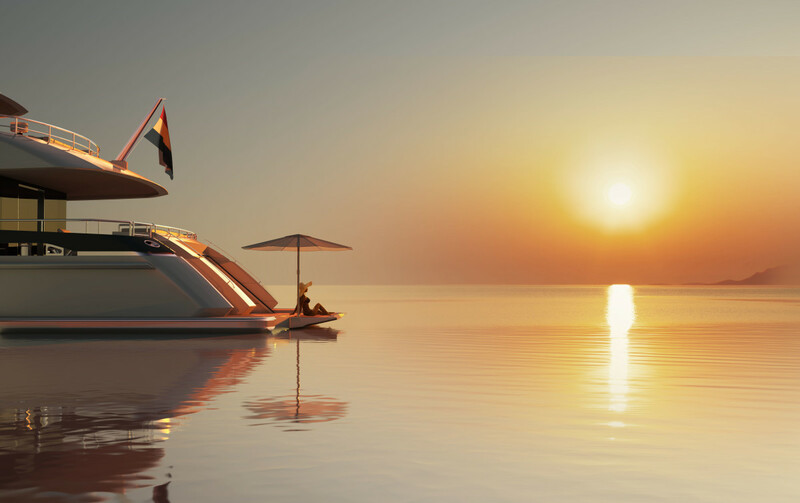 The sundeck houses chaise lounges in sun and shade, alfresco dining and a spa pool.